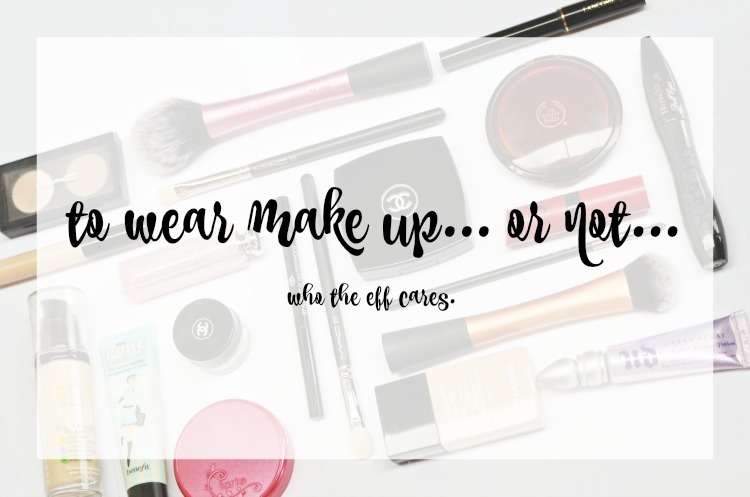 Lately I have been seeing a lot written about how people either do or don't choose to wear makeup, and what that means about them. Most recently it was about Alicia Keys. Honestly, when did this become a thing? I'm not sure when a woman's choice of whether or not to put some blush on before she leaves the house became such a topic for community discussion. I would like to think that I am both pro- and anti- makeup at different points. Yes I love to wear makeup, love to try new things, and really prefer to wear makeup daily. There are also times when I personally just don't want to wear anything on my face. Like when if I'm exercising, or a day when I don't have anything planned. I am feeling more and more comfortable in my fresh face, and have started to go out more without makeup on. But that doesn't mean that anyone has the right to comment on what does or doesn't go on my face. It doesn't make me more or less of a woman. And I'm not trying to prove a point. Seriously it is just a personal preference, and I don't know what the big deal is. I did a quick search of "Alicia Keys no makeup," since that is the story that I have been hearing so much about lately. It came up with 1.5 million results. She is right at the front of the no-makeup movement, but she tweeted last week that just because she chooses to go without makeup, doesn't mean she is anti-makeup. And then followed up with one of my favorite quotes - do you!! I guess my point in this rambling post is that we should let each other live/work/be how they want. I don't understand why everyone has such passionate opinions about everything, some of which seems inconsequential in the long run. Am I crazy? Am I just being crotchety? Am I giving this too much thought? Let me know what you think below.